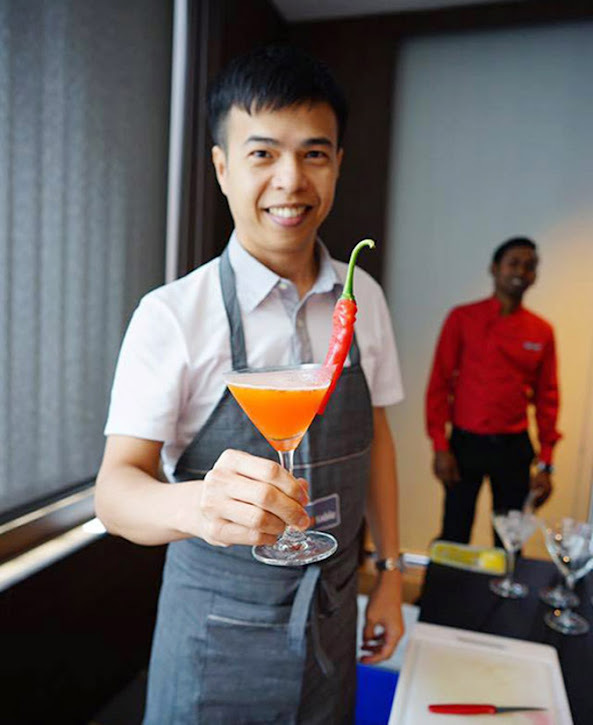 There is a signature cocktail in G Hotel called Chili Lada which is something you shouldn’t miss, and the cocktail is a mixture of Chili, lime, passion fruit, Cranberry juice and Vodka that tastes like Thai Lemon steam sauce, which is super refreshing with a touch of spiciness. The cocktail is available in both 2pm, lobby lounge and Gravity, 24th floor rooftop bar at G Hotel Kelawai. For the first time, we bloggers have to learn the recipe from their 2pm lobby lounge’s captain Preetran and make the drink for ourselves, and this is also part of the Sushi & Cocktail Making Contest that was organized by G Hotel for bloggers. The Cocktail may sound too exotic, but the taste is very pleasant, especially when you get the sourness from the lime mix with the sweetness from the passion fruit puree and cranberry juice, together with a kick of Vodka and a touch of spiciness from Chilli at the end, was so far the best cocktail combination Gibson has ever tasted. Preetran is showing us the steps and measurements of the ingredients and Vodka given to make the Chili Lada. With the intention for blogger to get a different insight on the F&B team that makes G hotel Kelawai a great place to dine, the Sushi & Cocktail Making Contest has given the opportunity to bloggers to learn the secret recipe direct from their chef. 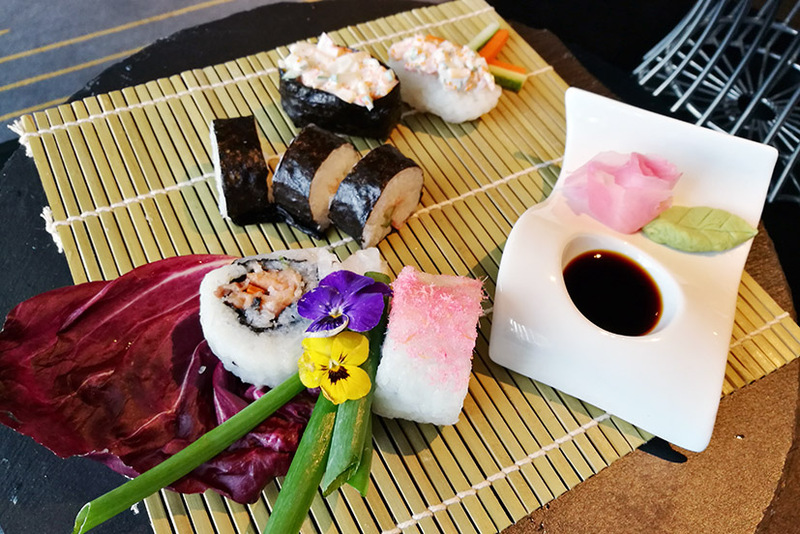 The Contest began with Chef Karthi, Sous Chef of G Hotel Kelawai explained and demonstrated the steps on how to wrap the different types of Sushi. The Sushi is one of the international gourmet featured on the buffet line in SPOON, a coffee house at G Hotel Kelawai. These were the creation of Chef Karthi. We had 45 minutes to make 3 type of Sushi, namely Kappa Maki, Uramaki Sushi & Gunkan Sushi, and these were Gibson’s creation. Judges for the contest were Ms Christina Tan, Director of Communications, together with Chef Karthi and Preetran.